I am happy to inform you that there are four illustrations on the topic of NVC available by Christiane Lesch, artist and painter. “What can I do to improve your life?” This is a perpetual calendar with paintings by Christiane Lesch, and an introduction to NVC following Marshall Rosenberg by Gitta Zimmermann. 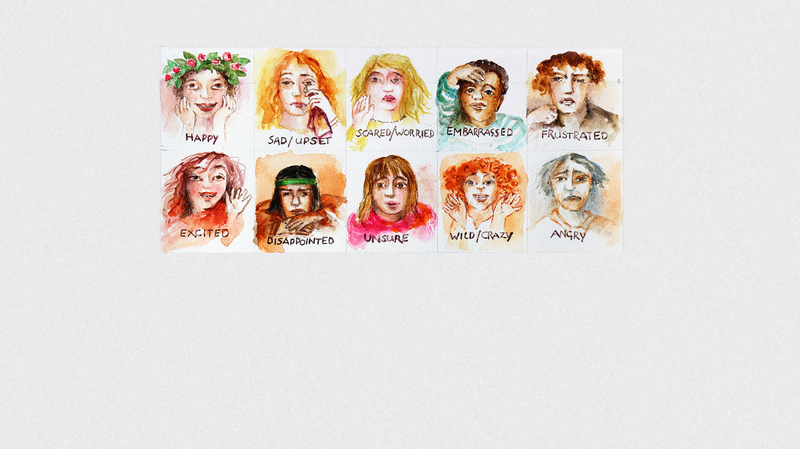 Christiane Lesch, a renowned illustrator of children’s and other books, painted 12 water colors especially for this calendar corresponding to 12 quotes made with regard to NVC, most of them by Marshall Rosenberg. On the back you will find some essential features of NVC. This calendar is a wonderful companion for the entire year, for children as well as for adults. In order to support some people in my surroundings to approach certain things with a different view, to see them in an appreciating way, I searched my quote box. I selected those sayings which encourage you to give yourself appreciation and empathy. Christiane Lesch illustrated the sayings. As a result of our discussions one folder in English and one in German, each containing 13 different and wonderful pictures, were created. The German and the English maps contain different sayings and pictures. The German map is called : “Sei nicht nett, sei echt”, quoting Kelly Bryson. 13 pictures: one for every month and one joker to use an own saying. You can put them on your fridge or use them in your seminar as inspiration. You can order the perpetual calendar as well as the maps in every bookstore or in the internet or directly at the publishing house SchneiderEditionen, Stuttgart. For the forth project in cooperation with Christiane Lesch, see our Newsletter “Adventures of Lups & Spotty“.